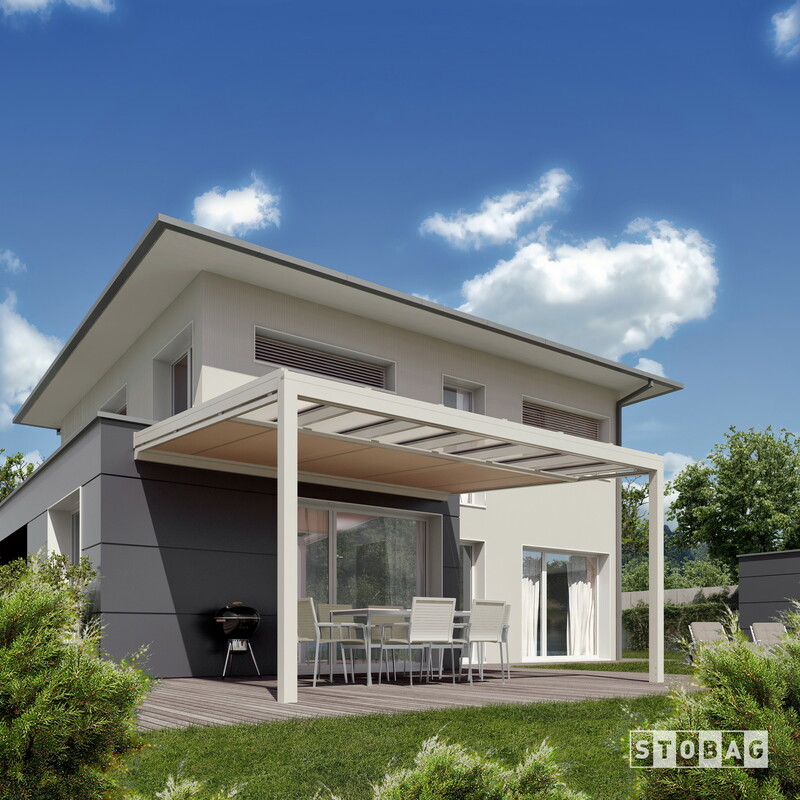 The NYON GP3100 is an elegant and filigree glass roof system, which has been reduced to just the essentials. The rafters are very narrow, so that the view into the distance is unobstructed and clear. The well thought-out modular system allows flexible expansion with shading, glazing and LED spots or strips. This allows the customer to adapt the NYON GP3100 step by step to his requirements and local conditions. Water drains and wire guides are not visible and underline the simple design. 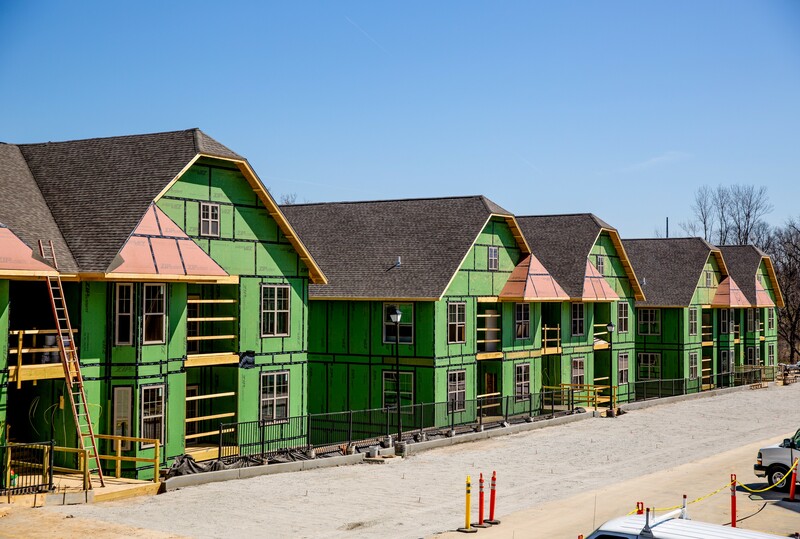 A variety of mounting options ensures that the weather roof can be well integrated in various construction situations. 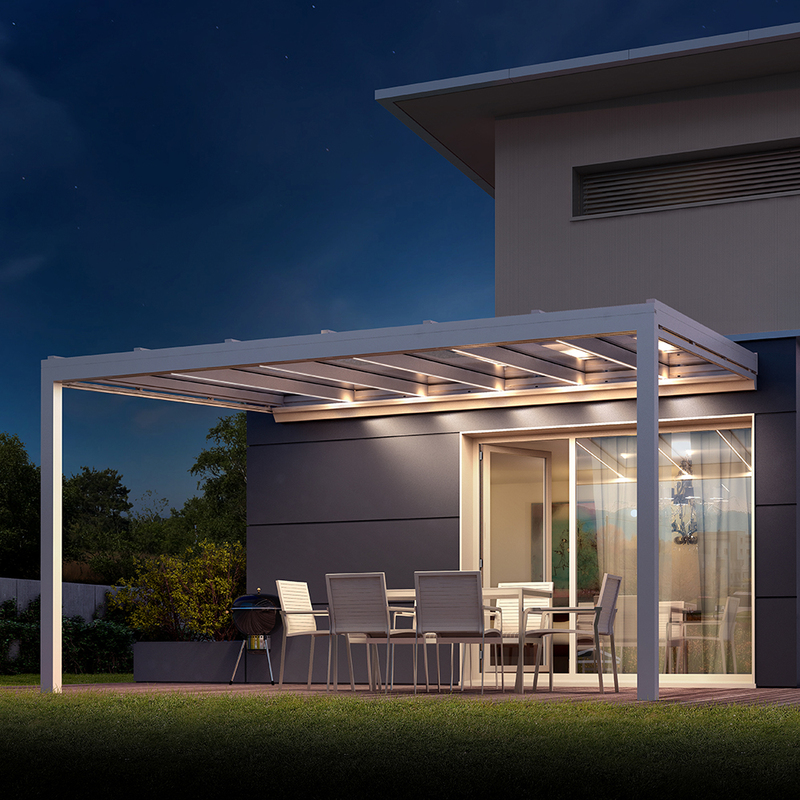 The NYON GP3100 extends the living area into the outdoors and offers year-round weather protection.